ADRIC 2018 (Montréal): ADR to the Rescue of Justice! Earlier this year, British Columbia became the second Canadian province, after Ontario, to update its international arbitration legislation in line with the 2006 amendments to the UNCITRAL Model Law. In so doing, British Columbia has aligned itself with modern national and international standards, thereby increasing its appeal and status as an arbitration-friendly jurisdiction. This article discusses the key amendments to British Columbia’s International Commercial Arbitration Act and highlights which provisions deviate from the Model Law, and from Ontario’s provincial legislation. On 17 May 2018, British Columbia updated its International Commercial Arbitration Act RSBC 1996, c. 233 (‘ICAA’). In doing so, British Columbia became the second Canadian jurisdiction (after Ontario) to update its international commercial arbitration legislation in accordance with the 2006 amendments to the UNCITRAL Model Law (‘Model Law’). While the amendments largely incorporate the text of – or are consistent with – the Model Law, some areas differ. The ICAA sections that have been amended in accordance with the Model Law have modernized British Columbia’s legislation by aligning the province with current national and international positions. These include updates regarding the definition of ‘arbitration agreement’ (s.7); stay of court proceedings (s.8); certain provisions covering interim measures and preliminary orders (ss.17.03-10); and enforcement of consolidation agreements (s.27). Section 12(3) of the ICAA sets out the grounds to challenge an arbitrator. An arbitrator may be challenged only if circumstances exist that give rise to ‘justifiable doubts’ as to the arbitrator’s independence or impartiality. The newly inserted section 12(3.1) specifies that there are justifiable doubts as to the arbitrator’s independence or impartiality only if there is a real danger of bias on the part of the arbitrator in conducting the arbitration. The Model Law does not contain a similar provision. The threshold for challenging an arbitrator is thus more stringent in the ICAA than in the Model Law or in other Canadian jurisdictions that do not contain a provision of that nature. Under the amended section 17, arbitral tribunals have the power to order interim measures including, among others, to ‘provide appropriate security for costs in connection with arbitral proceedings’. Article 17 of the Model Law, in contrast, , is not as explicit regarding the power to order security for costs. Section 17.01 sets out the conditions that must be satisfied while section 17.02 provides that a party may request an interim measure without notice, together with an application for a preliminary order directing a party not to frustrate the purpose of the interim measure requested. Section 21.01 deviates from the Model Law and states that a party may be represented in an arbitration by any person, ‘including, but not limited to, a legal practitioner from another state’. This section also permits any non-member of the Law Society of British Columbia to appear as counsel, give advice, or prepare documentation in arbitral proceedings. This could open the door to non-legal professionals making submissions in arbitral proceedings.. Section 36(3) provides that, in relation to recognition or enforcement of an arbitral award, third-party funding of arbitration proceedings is not contrary to public policy in British Columbia. There is no equivalent provision in the Model Law. This is significant, as it shields an arbitral award obtained with the assistance of third party funding from possible ‘public policy’ arguments against recognition or enforcement. Although not drawn from the Model Law, this aligns British Columbia with modern national and international views on third-party funding. Section 36.01 addresses privacy and confidentiality, providing that all hearings and meetings be held in private, and that unless otherwise agreed, the proceedings, evidence, arbitral award and related information not already in the public domain must not be disclosed. While the Model Law does not contain similar language, this is consistent with the confidentiality provisions in the rules of most international arbitral institutions. Section 36.02 is another newly inserted section; it states that arbitrators are not liable for anything done or omitted in connection with an arbitration, unless the act or omission is in bad faith or the arbitrator has engaged in intentional wrongdoing. Although not in the Model Law, this reflects international standards and will provide reassurance to arbitrators. Ontario also updated its legislation in line with the Model Law in March 2017. Whereas Ontario enacted a new piece of legislation and attached the Model Law as a schedule, British Columbia incorporated the Model Law amendments into the text of the legislation. There are also substantive differences between the updated statutes in Ontario and British Columbia, including: First, Ontario’s legislation does not expressly; (i) allow a party to be represented by someone who is not a legal practitioner, (ii) reference privacy and confidentiality, or (iii) provide immunity to arbitrators. Second, Ontario’s legislation does not mention the “real danger of bias requirement” for challenging an arbitrator, and thus arguably provides a lower test for challenging arbitrators. Third, Ontario’s legislation does not explicitly address security for costs. It is however at least arguable that the power to order security for costs falls under general powers of the tribunal to order interim measures under Article 17 of the Model Law. Finally, Ontario’s legislation does not specify that third-party funding is not contrary to public policy. The explicit reference to third-party funding in the ICAA could prompt other provinces to include similar language in their provincial legislation and may attract funders to explore opportunities in the province. Overall, British Columbia’s ICAA implements important and modern changes and contains clear language to align the arbitration law of the province with international standards. These changes put British Columbia on par with Ontario and will likely increase its appeal as an arbitration-friendly jurisdiction. While it is difficult at this stage to predict what impact these changes will have on the choice of parties to international arbitration proceedings, arbitration users should bear in mind the key differences noted above when choosing between Vancouver or Toronto (or other venues in British Columbia or Ontario) as an arbitral seat. Ontario’s International Commercial Arbitration Act 2017 can be found at: https://www.ontario.ca/laws/statute/17i02b . Elizabeth Montpetit is an Associate in the International Arbitration Group at Mishcon de Reya LLP, London. 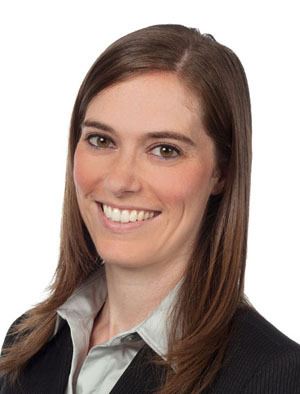 She previously worked in the International Arbitration Group of White & Case LLP in both London and Paris and is qualified in Canada (Ontario) and England & Wales. ADR Institute of Canada, Inc.